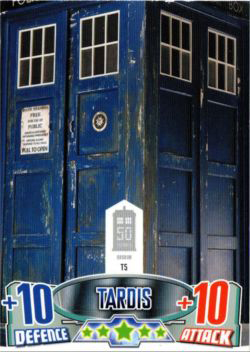 2013 Topps Doctor Who Alien Attax 50th Anniversary is a continuation of the easy-to-play trading card game that launched earlier this year. It's also the closest thing card collectors have to a traditional set of cards focusing on the updated version of the series. 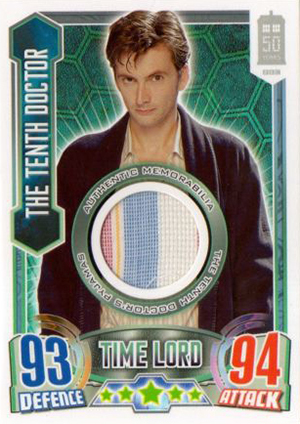 2013 Topps Doctor Who Alien Attax 50th Anniversary has the franchise's first memorabilia cards as well. 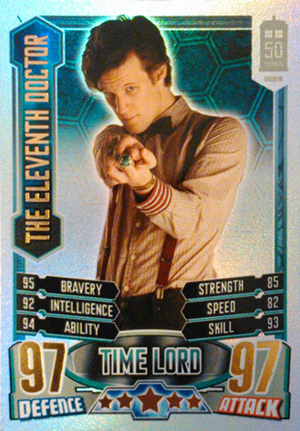 The entire collection includes base cards, Rainbow Foils, basic Foil cards, Companions, Timeless Moments and more. 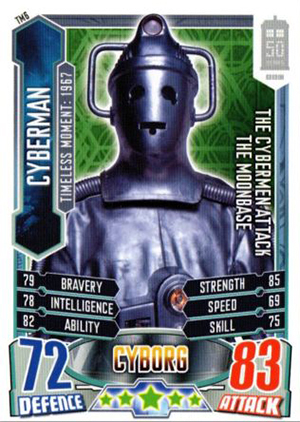 Although it lives up to its name by including five decades worth of Doctor Who characters, the primary focus is on the latest incarnations. Randomly inserted areCostume Cards with swatches of material embedded into the cards. All come serial numbered with print runs ranging from a high of 4150 to a low of 1460. 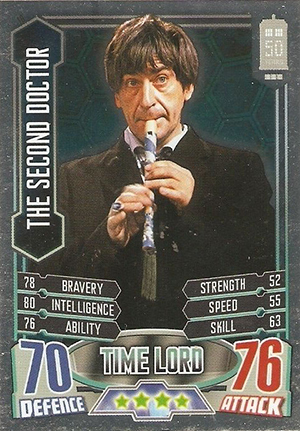 Seven cards make up this set. 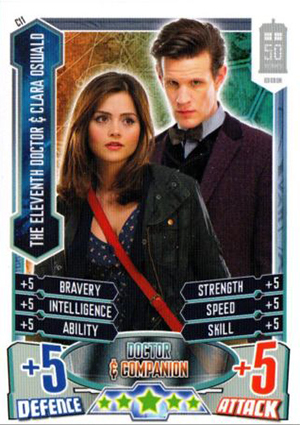 Finally, there is a special card of the Tardis numbered LE1. 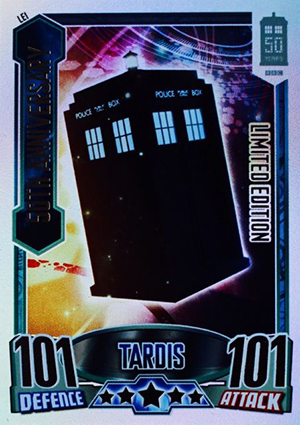 Not available in packs, it is only found in the 2013 Topps Doctor Who Alien Attax 50th Anniversary starter kit, which also come with a binder. Alien Attax is a simple card game that resembles War. Players select cards and the person with the highest score wins that round. Variations can make the game more challenging, but it's intended for a broad audience, both young and old. 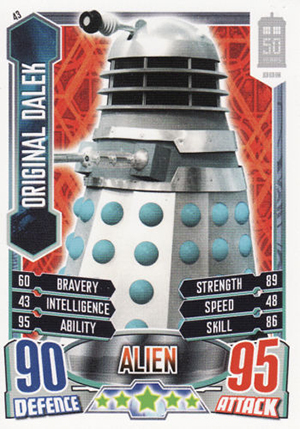 The 50th Anniversary set can be combined with the first Doctor Who Alien Attax release.